“Harmontown” is a candid documentary directed by Neil Berkeley [available on demand starting October 3] that chronicles the adventures of American writer and performer Dan Harmon as he takes his “Harmontown” stand-up/improvisation show/podcast on the road, after being unceremoniously fired as showrunner of the cult hit TV show “Community” by NBC in 2012 (although he would go on to reclaim the helm of the show two seasons later). The documentary opens in Harmon’s bedroom after the tour has ended. A disheveled Harmon takes a moment to reflect back on the experience, which took him cross-country from Phoenix to New York. “What did we learn?” he asks to camera. Whilst on tour Harmon, his crew, his hilarious fan-turned-dungeon-master Spencer, and girlfriend Erin, get up to all manner of hijinks including pants-less stage diving and celebrity Dungeons and Dragons games. In between, we get a glimpse of the creative genius at work as Harmon works on new pilots for a number of TV networks. Juxtaposed with all these moments of brilliance are testimonials from a host of showbiz pals from Jack Black and Sarah Silverman (Harmon collaborated with Silverman on her Comedy Central series) to the cast of “Community.” Many of them speak fondly of Harmon and his genius, but also how difficult to work with he can be. In fact, throughout the documentary Harmon is often portrayed as grumpy, cynical, rude, and cruel. Despite this, you always root for him because he’s the archetypal anti-hero; painfully aware of his own shortcomings, incredibly vulnerable and insecure, and desperate to make a genuine connection with his adoring fan base. Towards the end, Harmon receives the validation he so yearns for: a fan with Asperger’s tells him how one of his characters (Abed from “Community”) made her feel better about her own diagnosis. he moment is incredibly touching. Some critics might say there’s not much here for anyone who doesn’t watch “Community,” and that might be true, but the story is universal. Harmon, a tortured genius who champions oddballs and outcasts, just wants to know that his work has made a difference. 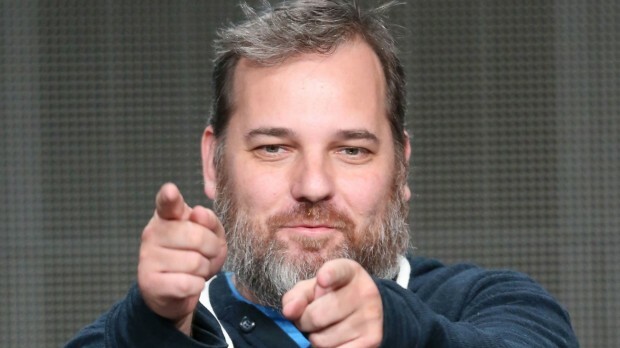 And in that sense, “Harmontown” should appeal to every nerd, freak and geek out there.